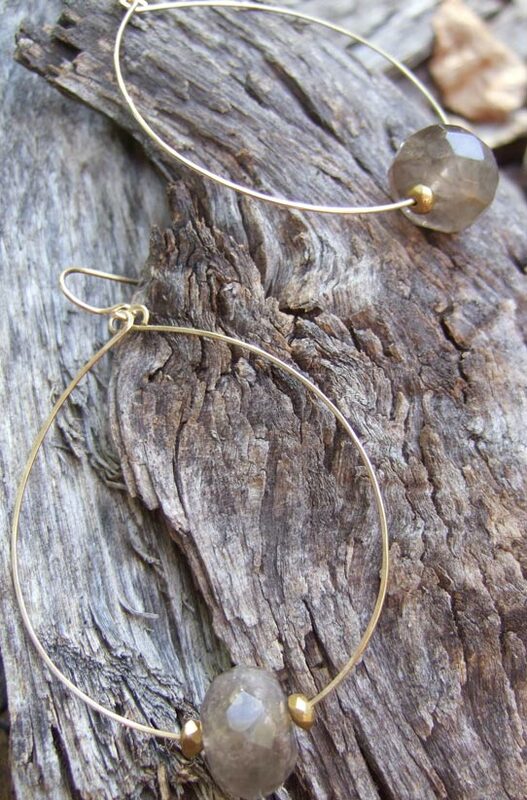 Hoops hand-crafted from gold-filled earwire. 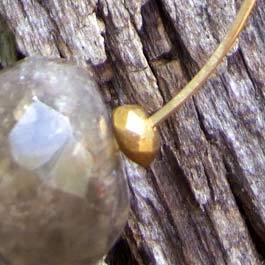 Neutral center stone with bronze-tone side accents. 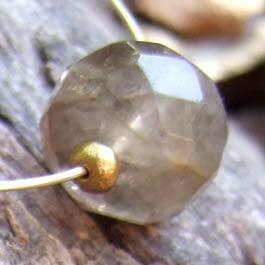 Also available with pink, vintage German glass faceted bead as center stone.